We're experts in all kinds of different plumbing systems. We can service plumbing and sewage for residential, commercial and industrial systems. For service you can trust, call our sewage and plumbing experts to fix your problem the first time. You'll never have to call them back to fix the same issue twice. We have the best plumbing staff in all of Wisconsin. You can trust the professionalism and skill of our highly trained and experienced plumbers. We know you don't want to spend your day waiting for your plumber to show up. Our staff is always on time and works efficiently to reduce your waiting time. Freindly, loyal, highly qualified plumbers with 20 years experience. 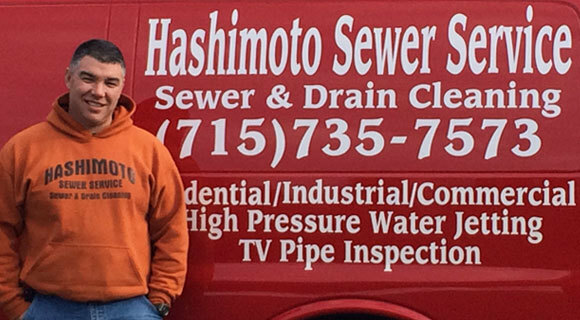 Our plumbing and sewage services are comprehensive. There's no problem too big or too small for us to solve as we work on residential, commercial, and industrial systems. We clean, repair, install and run regular maintenance checks for any drain, pipe or piece of plumbing. Let our expert plumbers diagnose and repair any issue, from a simple drain blockage to a complete sewage system repair for a commercial building.